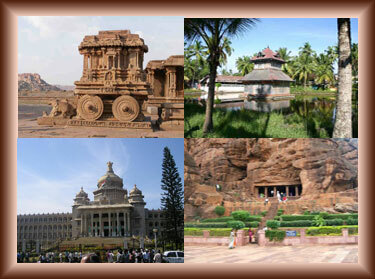 Shawnels Resorts South India Tours package to Hampi ruins of ancient Vijayanagara empire. Hampi, as it is popularly known today was the medieval capital of the Hindu empire Vijayanagara (the City of Victory). Hampi is a village in northern Karnataka state, India. 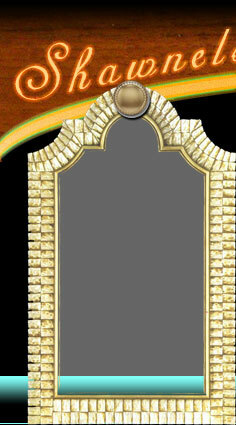 It is located within the ruins of Vijayanagara, the former capital of the Vijayanagara Empire. Hampi in the Karnataka state of India is listed as one of the UNESCO World Heritage Sites. Hampi is charismatic even in its ruined state. It attracts thousands of tourists and pilgrims every year. Vast stretches of boulder-strewn hills make the backdrop of Hampi unique. Hampi in brief: A quick over view of Hampi. Dotted around the hills and valleys are 500 plus monuments. Among them are beautiful temples, basement of palaces, remains of aquatic structures, ancient market streets, royal pavilions, bastions, royal platforms, treasury buildings.., the list is practically endless. Hampi is a backpacker’s paradise, the same way the pilgrims delight. In Hampi at every turn there is a surprise. Every monument hides more than what they reveal. As an open museum, Hampi has numerous popular (100 plus!) locations visitors throng. Hampi is situated on the banks of the Tungabhadra River. It is 353 km from Bangalore and 74 km away from Bellary. Hosapete (Hospet), 13 km away, is the nearest railway head. This is a small open pillared pavilion with whitewashed top dedicated to the legendary poet Purandaradasa who lived in Hampi. The pavilion is located at the river shore near Vittala Temple. It is difficult to tell what is more charming in Hampi, weather its thrilling architecture or the bizarre looking landscape. While the architecture is a lot easy to comprehend, any average visitor to Hampi would wonder how come on earth such a landscape was created. If you look around, no clues are found either! Anegondi was the capital of the region, before it was shifted to Hampi. In fact this was the core of a tiny kingdom that eventually expanded into the Vijayanagar Empire covering the whole of south India. Currently Anegondi is sleepy village with a principally farming community inhibiting it. 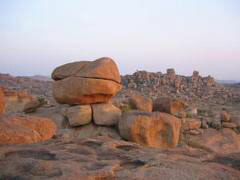 This is located at the opposite bank of the river where the Hampi village is located. The easiest way to reach Anegondi from Hampi is by crossing the river by the coracles. 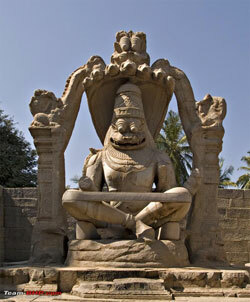 Kamalapura is a busy small village located at the southern fringe of the Hampi ruins. In fact you will be visiting Kamalapura as some of the major attractions are located here. As you are about to reach Hampi from Hospet, your bus pass through a bund (embankment) with a sprawling tank on your right side. This manmade tank was the primary reservoir catering to the aquatic structures you can see in and around the Royal Center. Tungabhadra is a major river in the south Indian peninsula. Hampi is located on the south bank somewhere in th e middle of this river’s path. In this area the river takes a number of twists are turns owing to the rocky terrain. The river has immense significance in forming the political & religious history of Hampi.The river along with along with the boulder-strewn hills formed the northern barrier of the capital. It was not easy for an invading army cross the river without the fate of a sure defeat. The trek path from Kodangda Rama temple to Vittala temple practically passes through this double storied pavilion like structure. Two empty cubical shrines are located on either sides of this structure. Probably once they’ve enshrined images of guardian deities like Hanuman. The structure is partly damaged, but still conveys its intent.